An East London man has been jailed after using social media to promote Islamic State and Islamic extremist terror. Shafi Mohammed Saleem, 28, used more than 20 Twitter and Instagram accounts to distribute “poisonous” Islamic State messages. The terror-supporter, from Newham, was arrested last April and sent the messages between 2016 and 2017, London’s Metropolitan Police revealed in a statement. One tweet included an image of two zombie knives alongside the word “itching”. Another showed a man holding the knives and words “dip dip dip”, a slang term meaning “to stab”. Detectives found nine devices at his home containing one terabyte of data, including terrorist magazines, videos of Osama Bin Laden and Islamic State militants, and a picture of convicted terrorist recruiter Anjem Choudhary. Associates of Mr. Choudhary and his al-Muhajiroun group have been linked to numerous successful Islamist attacks, including the beheading of Lee Rigby and the 7/7 London bombings. Another chilling imaged saved on Mr. Saleem’s encrypted Telegram app showing him posing with what appears to be a genuine handgun, police said. Commander Dean Haydon, from the Met’s Counter Terrorism Command, commented: “I cannot underplay the importance of bringing before the courts people who tweet subversive messages promoting Daesh. “Every tweet has the potential to radicalise vulnerable people. “Arresting and bringing to justice people who send messages like Saleem did is just one of the ways that counter terrorism officers nationally are tackling the threat from terrorist propaganda online. 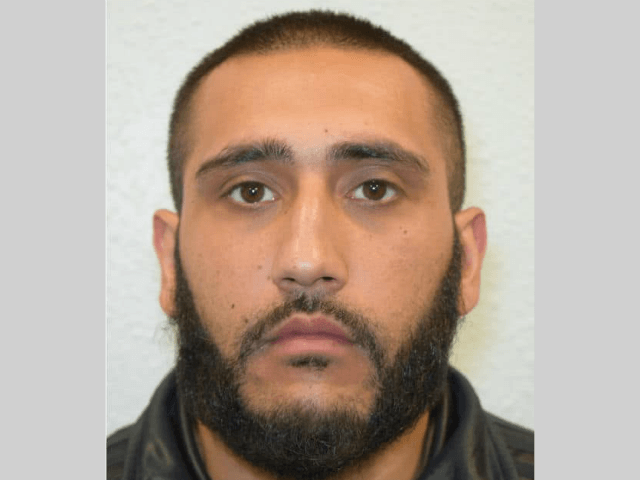 Just over a week ago, a court heard how a teacher, also for Newham, East London, hatched a terror plot and claimed to be part of “a death squad sent by Allah” after the Westminster attack. And earlier this week, a court heard how a Somali migrant living in North London allegedly discussed killing the Queen with a fellow Islamic State jihadist supporter. London was hit by five terror attacks in 2017, four of which were committed by Islamic fundamentalists, and the UK’s terror threat level remains at severe.